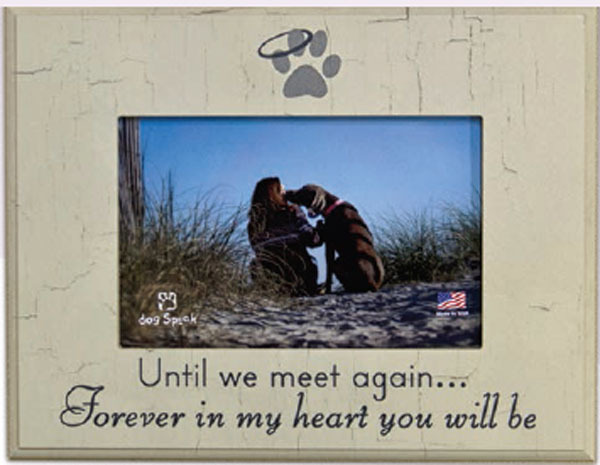 This is a wooden plaque made with a stand on the back for a choice of placement. This plaque is to celebrate the life of a pet that has crossed the Rainbow Bridge. • Can be used with the stand on back. • There is a place for a 4 inch by 6 inch picture of your dog.